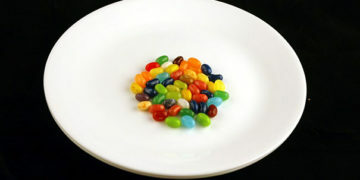 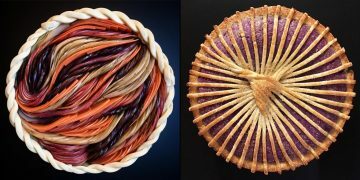 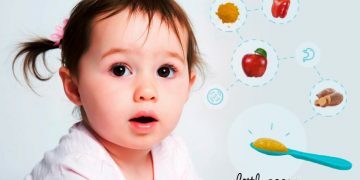 Like eccentric food? 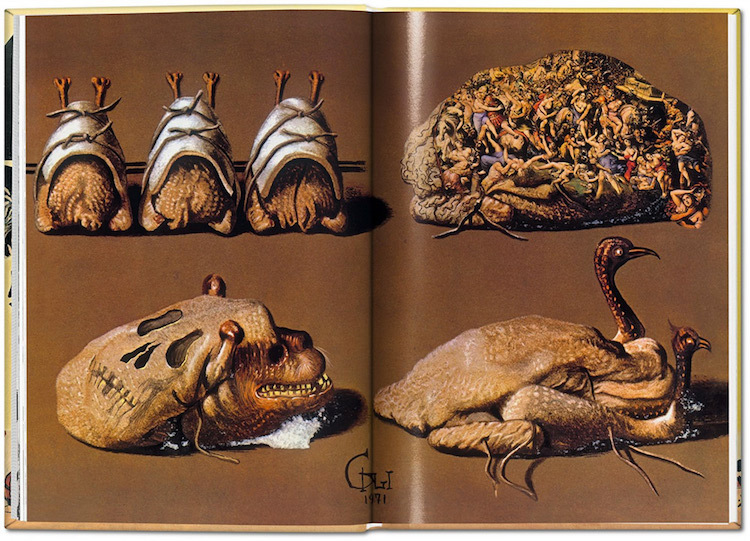 Then Dali has a cookbook for you! 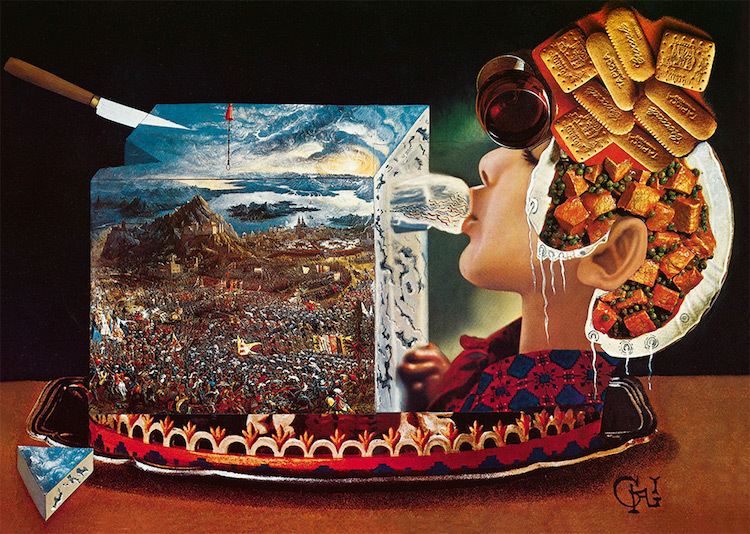 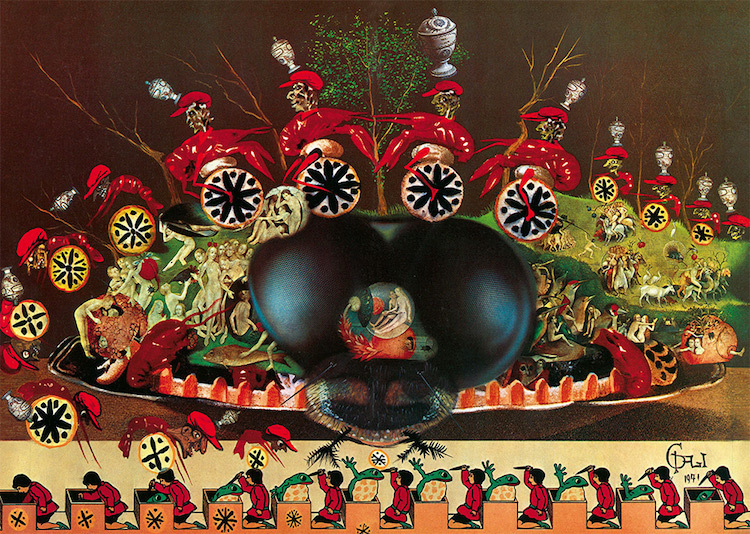 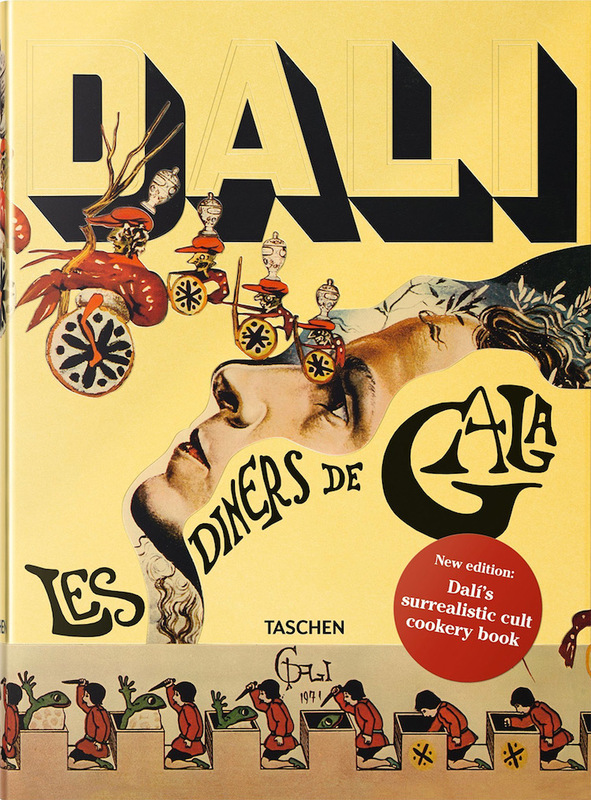 Published only once in 1973, Les Diners de Gala was a dream fulfilled for surrealist artist Salvador Dali who claimed at the age of 6 that he wanted to be a chef. 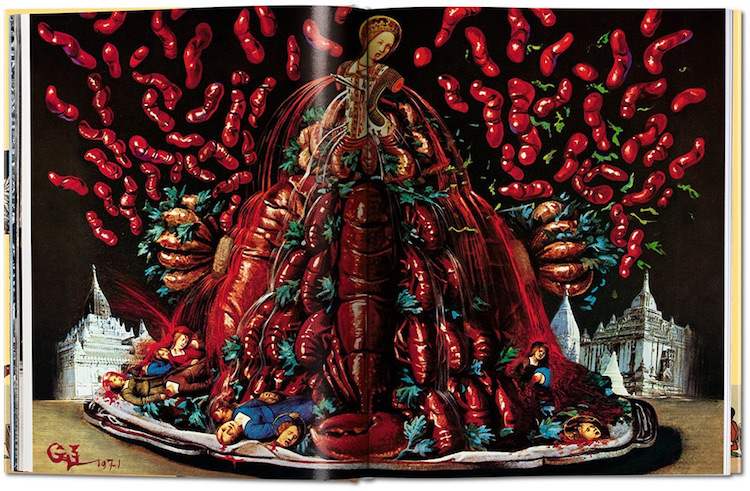 The bizarro cookbook pairs 136 recipes over 12 chapters (the 10th of which is dedicated to aphrodisiacs) with his exceptionally strange illustrations and collages created especially for the publication. 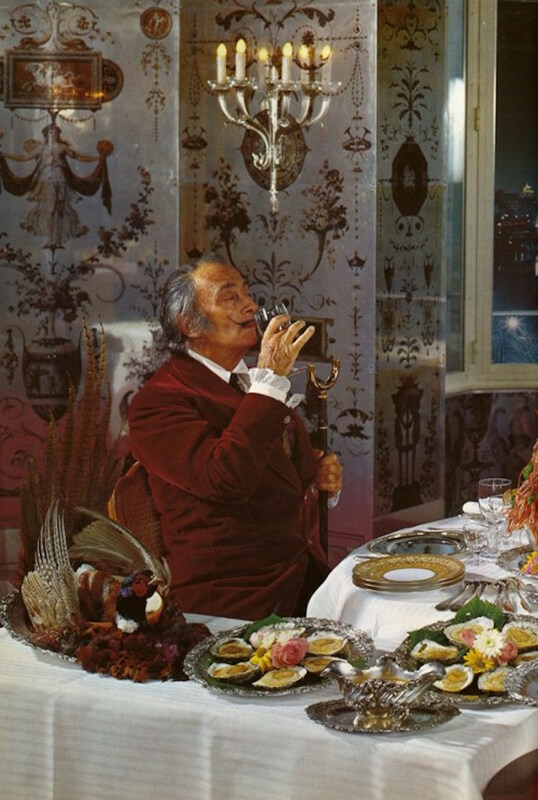 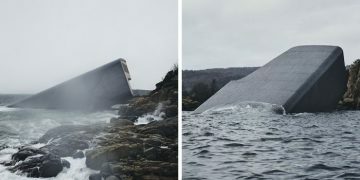 The artworks depict towering mountains of crayfish with unsettling overtones of cannibalism, an unusual meeting of a swan and a toothbrush in a pastry case, and portraits of Dali himself mingling with chefs against decadent place settings. 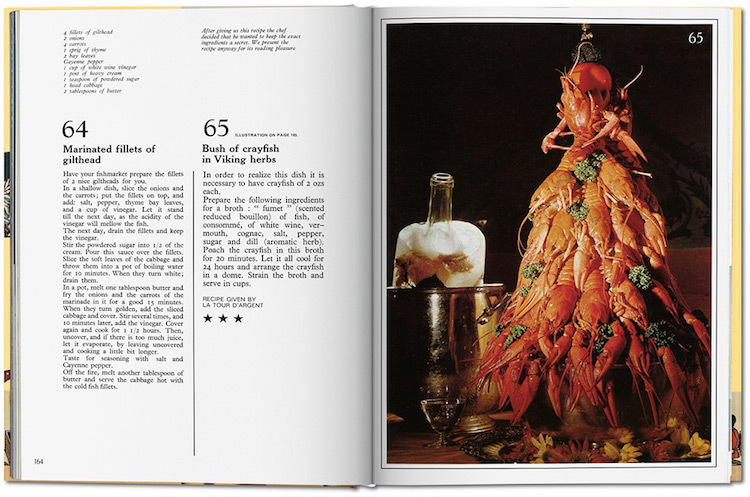 Recipes include such delicacies as “Thousand Year Old Eggs”, “Veal Cutlets Stuffed With Snails”, “Frog Pasties”, and “Toffee with Pine Cones”. 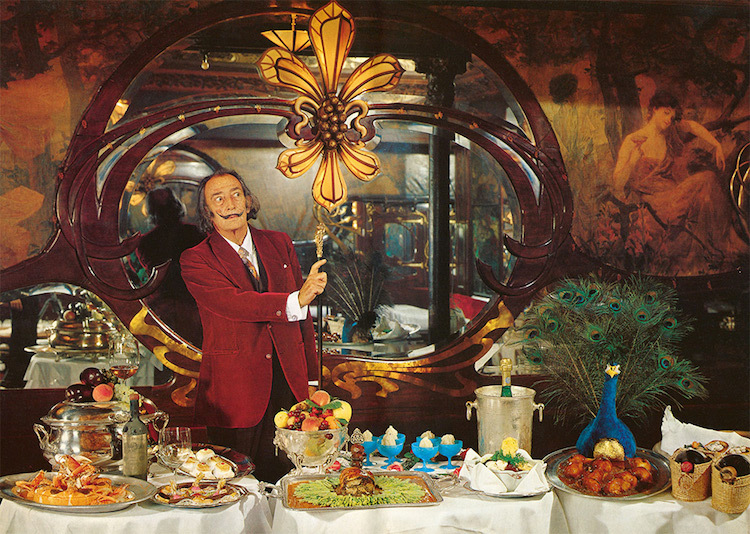 Only around 400 copies of Les Diners de Gala are known to survive, most of which sell for hundreds of dollars. 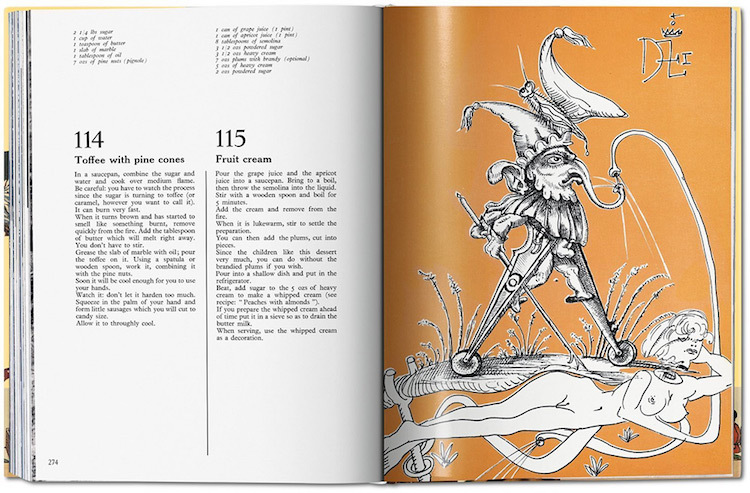 However Taschen has finally made this rare book available for the first time in 43 years as a new reprint currently available for pre-order.